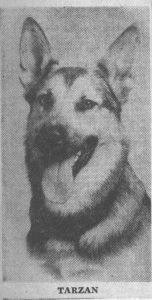 Following a 12-week basic training during which dogs were accustomed to muzzles, gas masks, and to gunfire, Tarzan went on to complete specialized training. His owners believed that Tarzan was trained as a messenger dog. Unlike other war dogs, the messenger dog was not trained to be aggressive or to seek out trouble. A messenger dog moved swiftly and silently between two handlers, taking advantage of natural cover, and required exceptional loyalty, great speed, stamina, and superior powers of scenting and hearing. 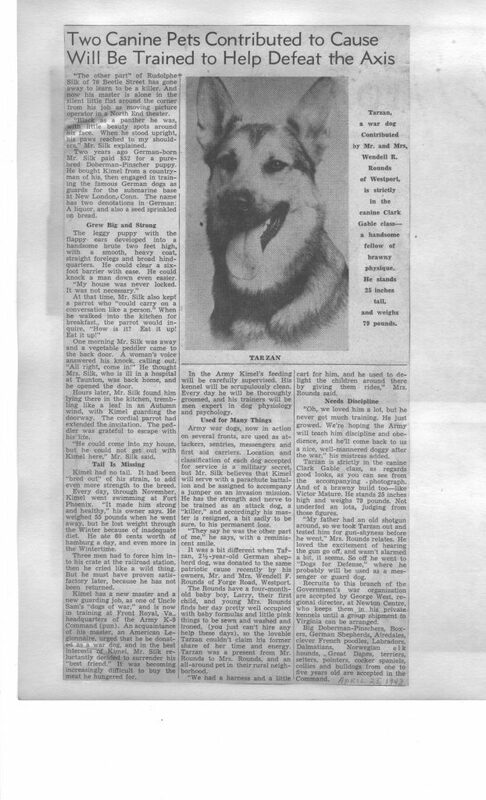 A total of 151 messenger dogs were trained and fifteen war dog platoons were activated in World War II. Seven platoons saw service in Europe and eight in the Pacific. Given the considerable attention Tarzan received in the local media, this was clearly a significant event for the town of Westport. 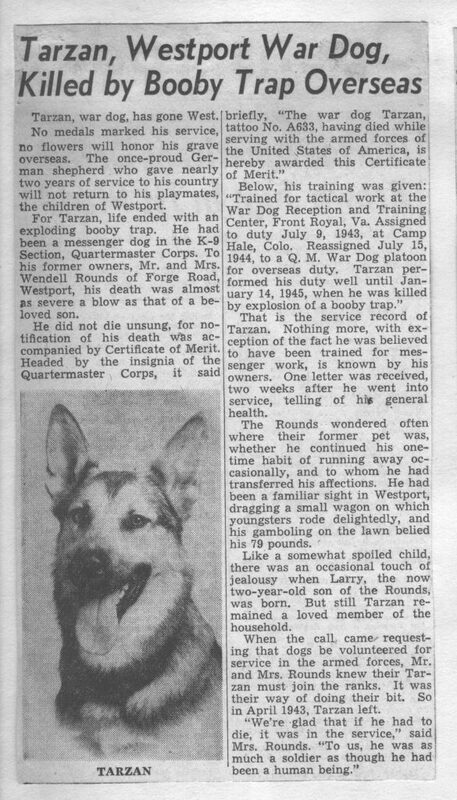 Tarzan was honored by the Westport Selectmen who proposed placing a tablet in his honor in the Town Hall. ”He died like a soldier,” George W. Russell, chairman, said at the time.